Lincoln is a very easy to ride son of Everdale out of the mare Daisy. 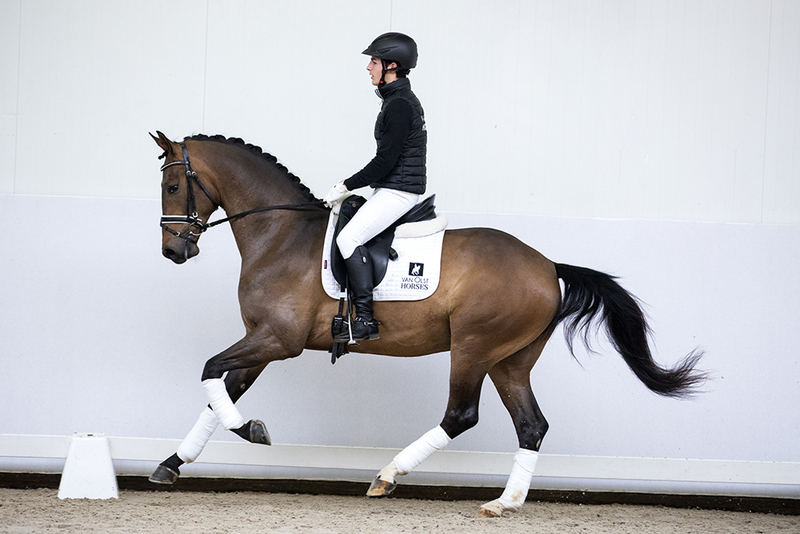 Daisy is sired by Zucchero, who also sires Dark Legend (European Champion with Charlotte Fry) and Ekitoff (Carl Hester’s new Grand Prix prospect). Father Everdale is doing extremely well in sport and breeding. His offspring tops the young horse competitions. Great grandsire Flemmingh was extremely succesfull with his offspring. 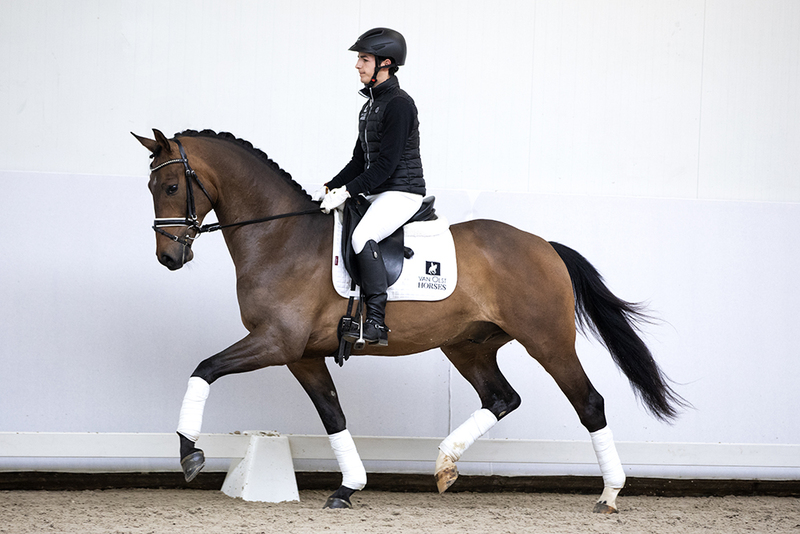 He is father to the International Grand Prix stallions Lingh (Edward Gal) and Krack C (Anky van Grunsven). Lincoln shows a nice frame with three very good gates and a nice balance and technique. A real promise for the future.